Just when you thought you had the seen all you could see when it comes to clown Halloween props Seasonal Visions keeps upping the ante. Two years ago we all stood with our mouths wide open when we saw Grimli the seven foot tall animatronic Halloween prop. 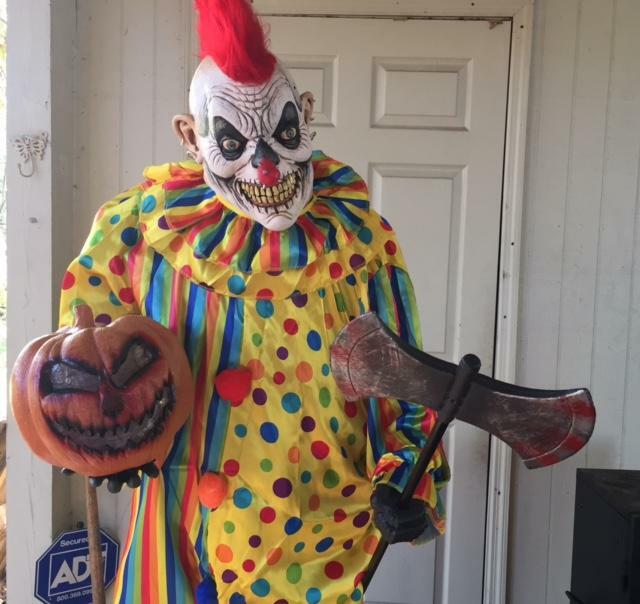 Last year everyone rushed out to buy Sweet Dreams, another large clown that Spirit Halloween ran out of after a few weeks. Well, get ready. 2019 will have two different large clown animated props from Morris Costumes (Seasonal Visions), Psycho Circus Cagey Clown and Cagey the Clown. Check out the video of Cagey the Clown below. As you can see Cagey the Clown is pretty awesome! That bright orange hair really pops and quickly draws attention to his creepy face. 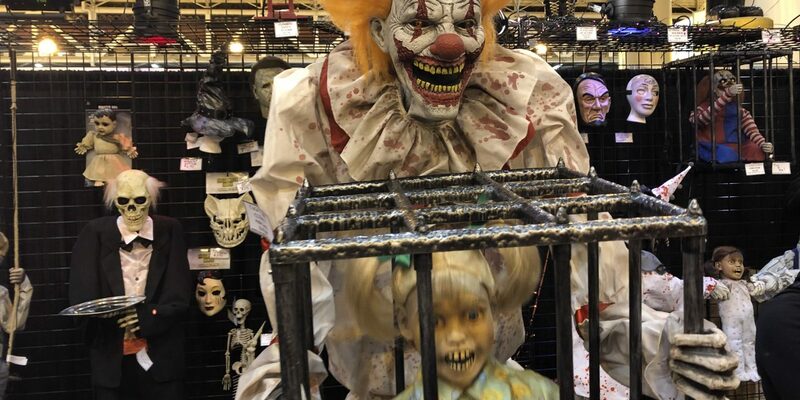 I think even if the prop didn’t have the little girl in the cage it would still be awesome. 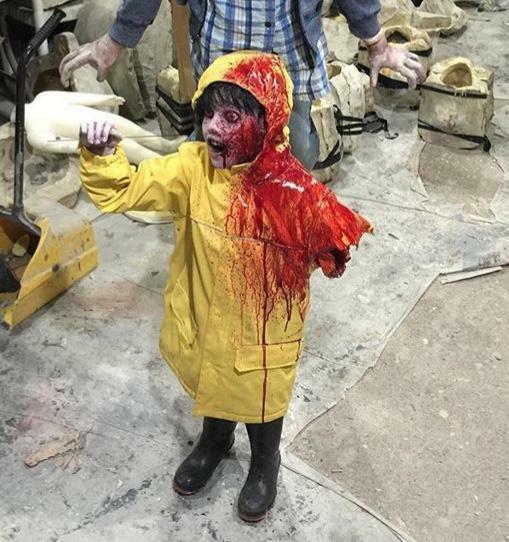 In fact, I think the child actually takes away a little from the effect. Cagey the Clown is so well done that he makes the little girl look like a doll instead of a real child. However, in dark lighting this can be covered up and look downright creepy. The suggested retail price will likely be $249-$299. However, every retailer and website has different profit margins that they run their business off of so don’t be surprised to see the price fluctuate depending on where you look. 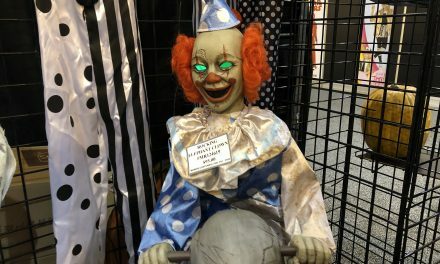 Like most new Halloween props Cagey the Clown will go on sale this summer and will ship in late August in time for the fall. I’ll go ahead and advise you to buy the prop as soon as he goes on sale. Grimli and Sweet Dreams both sold out in a few weeks and weren’t available in October. With the sequel to “It” coming out in September there will be a rush to buy clown props again this year. Don’t be left out in the cold. If you are on the fence, go ahead and pull the trigger. Be sure to keep checking back. 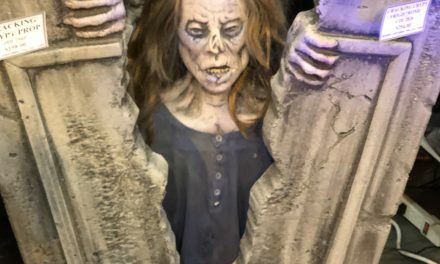 We have a lot more from HauntCon to show you to keep your mind off of missing Halloween. It will be here before you know it!